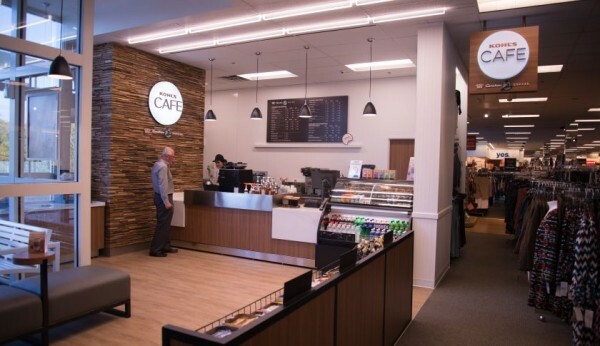 Looking to spruce up its shopping experience, and reinvigorate its turnaround, Kohl’s KSS 1.15% is testing small cafés at two of its 1,166 department stores. The retailer is known primarily for its sensible, no-frills stores that offer quality products at affordable prices. But its neat, well organized emporia don’t really give shoppers many reasons to hang out and spend time, something that would raise the odds they’d spend more while there. So at two stores not far from its headquarters in Menomonee Falls, Wisconsin, on the outskirts of Milwaukee, Kohl’s will be trying out selling lattes, cappuccinos and other upscale coffee products. The idea is to drive traffic at a time the retailer is attempting a big turnaround to so far middling results. In its most recent quarter, Kohl’s comparable sales were up a mere 0.1%, better than Macy’s performance, but slower than the two preceding quarters. “Kohl’s is committed to providing an easy and inspiring shopping experience and part of this includes exploring new or different ways to engage our customers and their families within our stores,” said Jon Grosso, Kohl’s EVP, Director of Stores in a statement.